Is such a thing really possible? 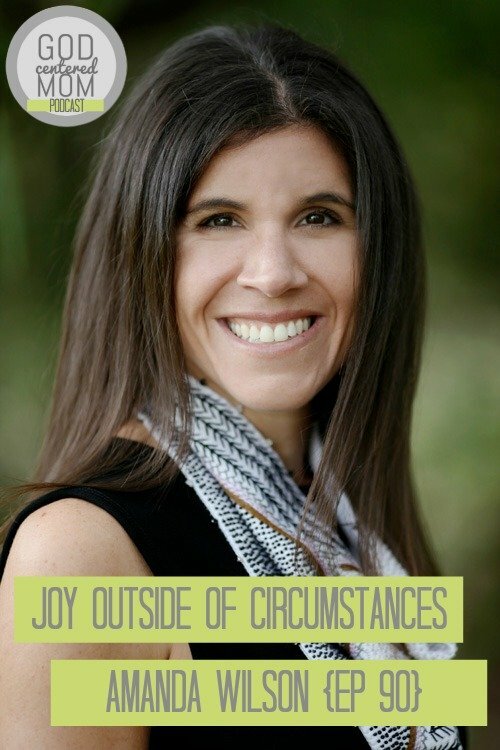 Is joy outside of circumstances a pipe dream or a reality for some believers? Today’s podcast guest, Amanda Wilson, is a real life friend (and prayer mentor) who shares her faith journey. Amanda grew up in the church. Her performance was perfect and she believed God was pleased. Then her theology was rocked. She learned personally how bad things could happen to good people. Doctors diagnosed her beloved father with ALS (degenerative muscular disease) and gave him 2-5 years to live. Fifteen years later her father is still living, can speak and smile. And most importantly he enjoys intimate conversations with God. In this episode Amanda shares how God revealed His deep love for her (outside of her performance) and how she is learning to live in the power of the Holy Spirit. Through her dad’s experience we all learn joy outside of circumstances is truly possible. **If you are a local Dallas listener, come out on October 22nd and watch the documentary about John Paine’s life, “The Luckiest Man”. Hopefully it will be shown in more theaters around the country. Watch the trailer below (or click here if reading via email). When you’ve had a good Christian childhood. . .to make God happy. When life doesn’t go perfectly and you assumed it would if you follow the rules. When you realize you have a skewed view of who you are in Christ. When you choose to work with a community to re-learn your true identity. When you can no longer move your body and still know deep joy. When you long for visible fruit from the Holy Spirit, outside of your circumstances. What an amazing testimony! I can totally relate to her childhood story of being taught to perform and perform to get people’s and God’s approval. He is so faithful! Thank you for listening Kristina! I’m hopeful we all will get to see the movie soon!!! Thankful for all God redeems and restores! Thank you so much for all that you do, Heather. This episode really touched me. I have been struggling over the past few weeks with motherhood. I have 2 children- a son who is 20 and a daughter who is 14. Parenting teens is tough. I feel like I fail everyday. I know that satan is trying to steal my joy…but I haven’t been able to pull myself up off the ground. Hearing Amanda & you talking about having JOY outside your circumstances really gave me the hope I needed. I need to pray and seek out the Lord during this difficult time. Thank you. Oh Jessica! So sorry you had been struggling, but joy upon joy that listening to Amanda’s story helped pull you forward. Praying for His strength, for Him to move mightily in your children, and for you to rest in His provision. Thank you for sharing. This was so encouraging. Thank you for sharing your story Amanda! Thank you for listening! Amanda is a dear, dear friend and mentor to me. So very thankful to share her story.